Really pleased to have my work included in a new exhibition at London Transport Museum, celebrating the contribution of female artists to London Transport's long tradition of championing and commissioning contemporary poster art. Girl power comes to Covent Garden when Poster Girls - a major new exhibition about 20th and 21st century female graphic artists opens at the Museum in the autumn of 2017. 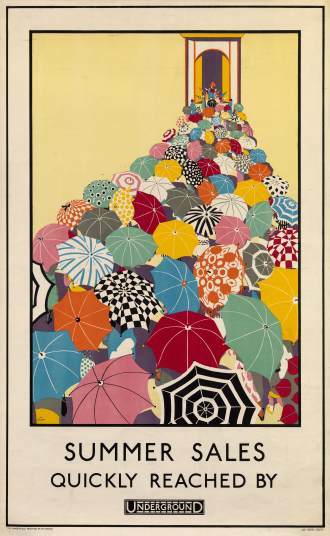 Poster Girls will highlight some of the key female artists who have designed for London Transport and Transport for London including Dora Batty, Herry Perry, Laura Knight, Anna Zinkeisen, Margaret Calkin James and Freda Lingstrom. More details can be found on their website, and my TFL posters are available to buy in the museum shop.